U.S. stock index futures were higher Thursday morning with market participants monitoring U.S.-China trade talks. At around 2:35 a.m. ET, Dow Jones Industrial Average futures rose 83 points, indicating a positive open of more than 51 points. Futures on the S&P and Nasdaq were also seen slightly higher. Investors continue to follow news of the U.S.-China trade talks. President Donald Trump said Wednesday that talks were “going very well” as both sides look to reach an agreement before an early March deadline. 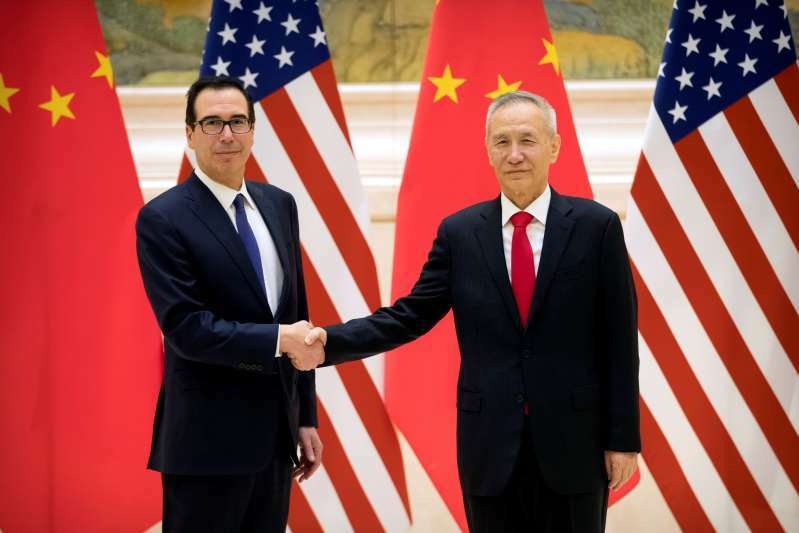 Furthermore, the South China Morning Post reported that Chinese President Xi Jinping will meet with U.S. delegates on Friday, including Treasury Secretary Steven Mnuchin and U.S. Trade Representative Robert Lighthizer. Wall Street closed higher Wednesday. There is also more earnings due Thursday with Coca-Cola, Canada Goose and Canopy Growth among the major companies expected to report before the opening bell. Nvidia is due to publish earnings after the market close. There is also a raft of data due later Thursday. Retail sales are expected at 8.30 a.m. ET with jobless claims and core PPI due at the same time.